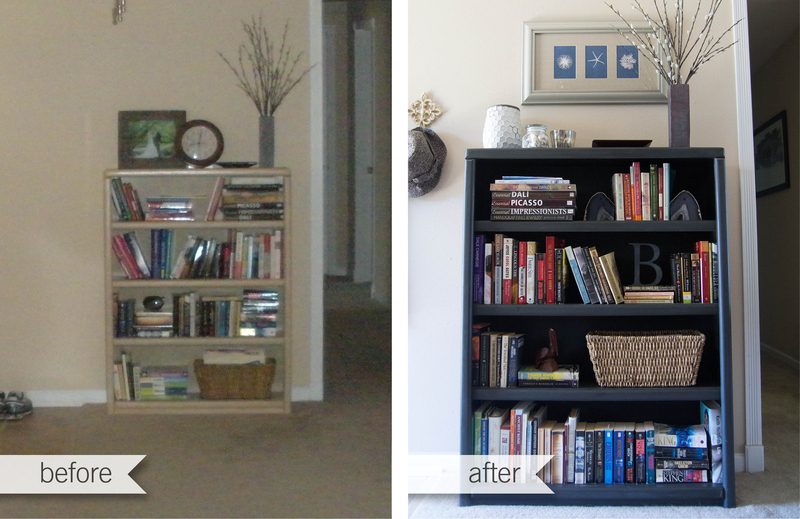 This bookcase was my second attempt at painting furniture after my octagon table upcycle. I again used Annie Sloan Chalk Paint in Graphite, but did not mix it with any Old White this time. I sanded the edges like I did the octo table, but decided to go for a more subtle distressing for this piece, which I prefer to the way I finished the end table. I also gave the Annie Sloan Dark Wax a try and really like how it darkened the paint even more and added a little bit of rustic imperfection to the finish. 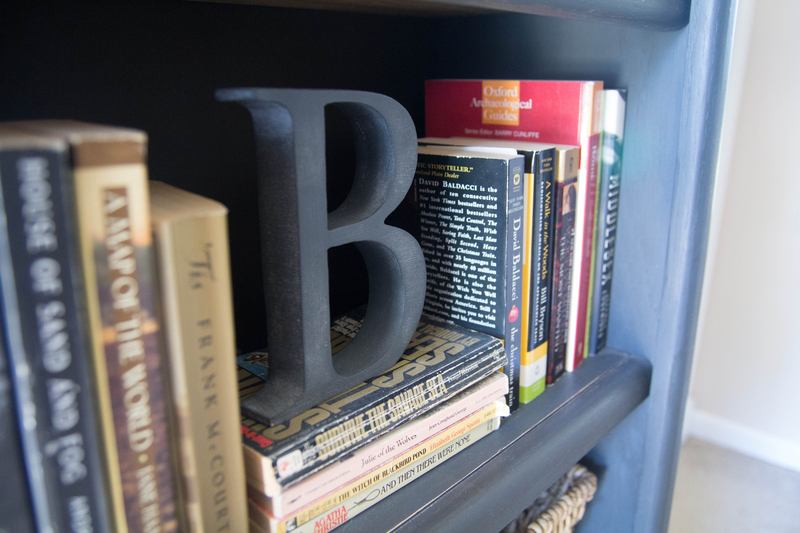 I found the “B” for a couple of dollars at a Restoration Hardware store closing sale. My husband found the carved pelican at a flea market in Cabo San Lucas. 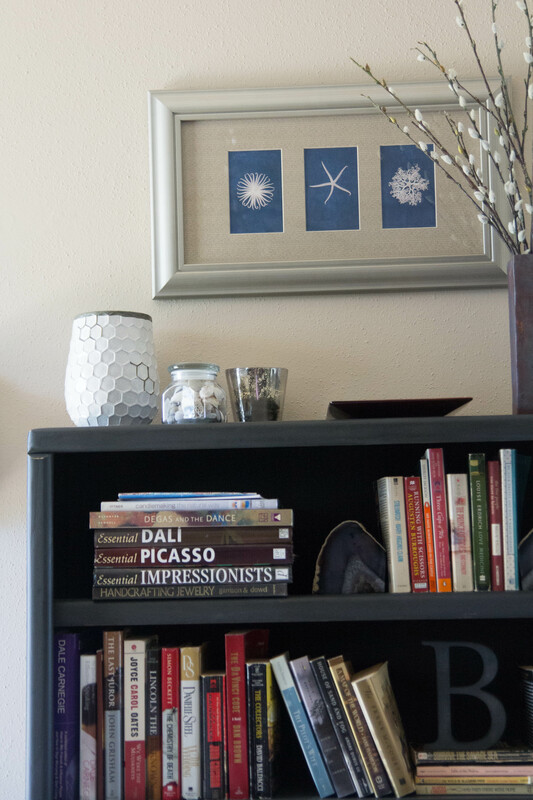 The white honeycomb vase is from West Elm and the tall rectangular vase is something I made in a college ceramics class. I found the mercury glass votive holder and the coral print online from one of my fave flash sale sites One Kings Lane. The bookends were a Christmas gift from my parents. I really like the look of our entryway now, but I want to get rid of the three mirrors that are literally cemented to the wall across from the front door. They were there when we moved in, and I’m a little afraid to remove them for fear of damaging the wall, but I am itching to DIY an over-sized floor mirror with thick moulding…stay tuned! 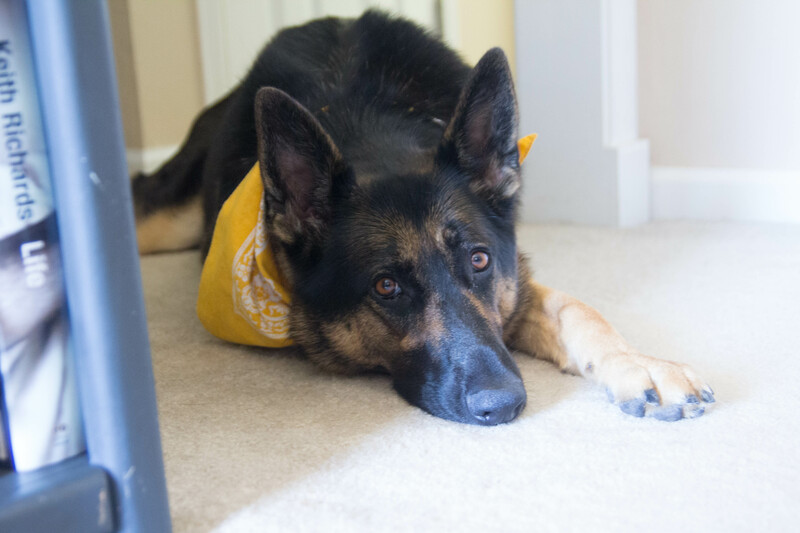 Mattie wasn’t too sure of what was going on while I was taking photos…she didn’t like the sound of the shutter! 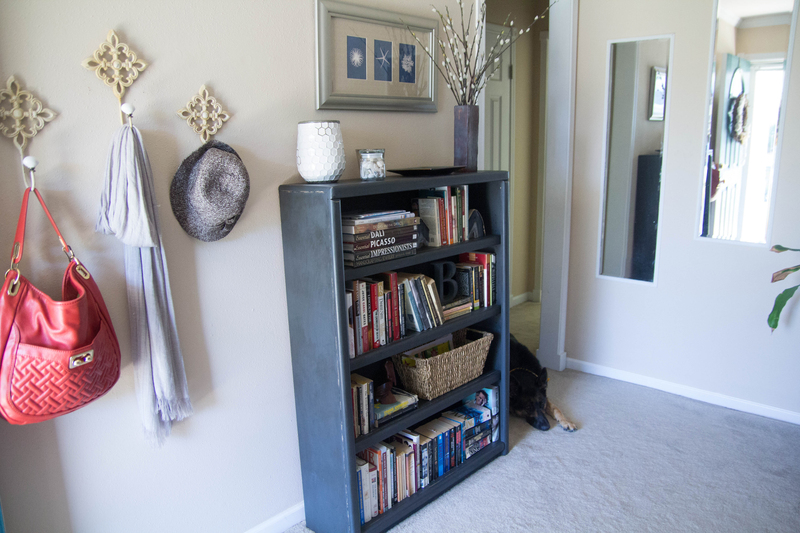 I enjoy styling and re-styling shelves, tables, and bookcases, and as my husband can attest, decorative items tend to make the rounds to different locations in our home! 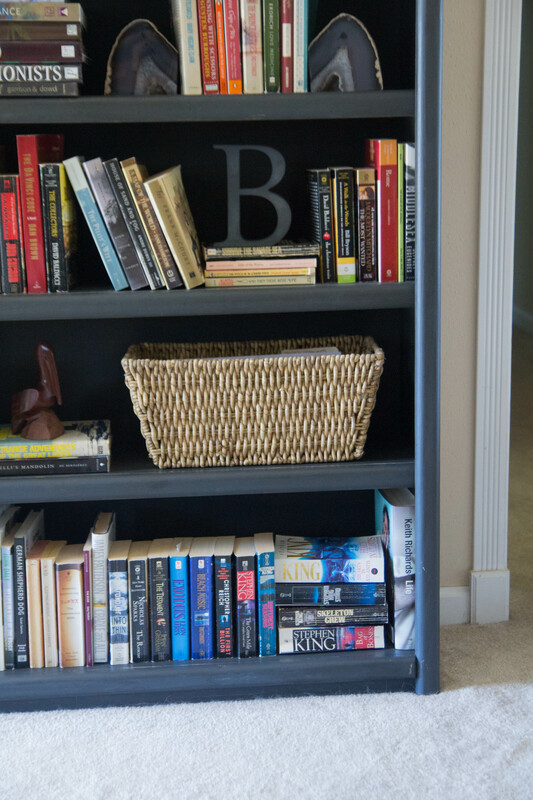 What kinds of items do you look for to create visual interest in a bookcase? Do you have a favorite flash sale site to share that I may not have heard of?